Borrowed from Cooking Light, if you can remember that you have to make this ahead of time, then it’s the perfect dessert! Combine the first 4 ingredients in a saucepan and then over low heat, gradually whisk in all of the milk. Once it’s all well mixed, bring to a boil over medium-high heat, while whisking constantly. Reduce the heat and simmer for about 1 minute until it thickens, then remove the pan from the heat and stir in the chocolate until it’s melted and smooth. Lastly add the vanilla and mix well. 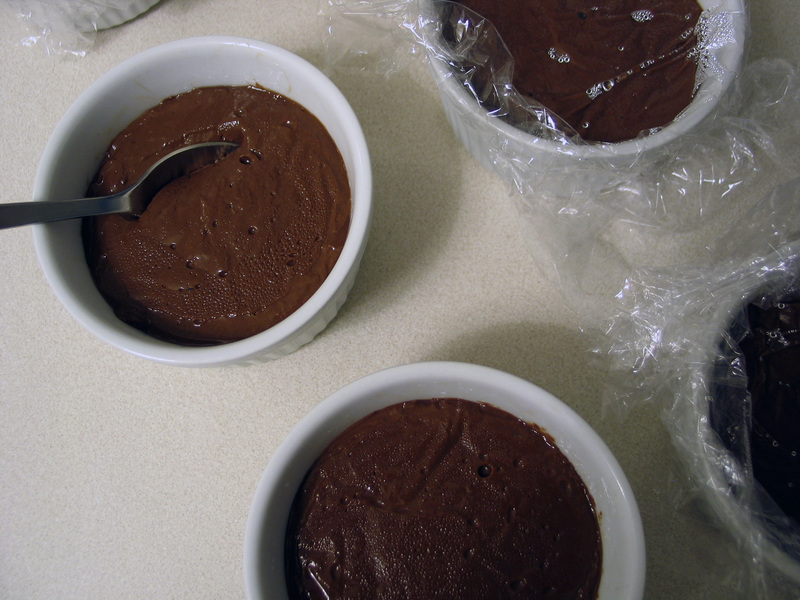 Pour about 2/3 c. of the pudding into 6 small bowls or ramekins and carefully cover the surface of each with plastic wrap. Chill at least 4 hours, though I think overnight is best.